Last week, IGN released their Top 100 Games of a Generation, and it got me thinking, “what is Microsoft doing wrong?” All the games at the top of the list are known favorites, but Microsoft fails to keep a game even in the top 25. While the list is objective, and every single one of us could make a list and have no two be the same, I have to agree with the overall state of the list. While I haven’t played every single game on it, I respect the games’ placement and know that they carry a certain prestige with their fans. And for those who don’t know, I’m almost exclusively an Xbox gamer, so don’t think I’m just finding reasons to hate on Xbox. I simply want the best gaming experience I can get out of my console of choice. So, looking at the breakdown, we notice that not only does Microsoft have the least amount of games present, but they also remain completely absent from the top 25. Why is this? Well, if you ask people what the ONE most important thing in a game they want is, you’re most likely to hear three main things: story, mechanics, and freedom. Story based games are usually the most often praised, combining excellent narrative with proven mechanics making for an amazing experience; Uncharted 2: Drake’s Deception (10) fits this profile perfectly. Games that primarily rely on their mechanics to draw players in are usually the ones that set the tone for similar games that come after; Call of Duty 4 (10) would be a primary example. Finally, games that tout freedom as being their strongest asset usually attract people who embrace the “go anywhere, do anything” philosophy; Grand Theft Auto V (8), Minecraft (6), and Skyrim (4) are the kings of this genre. And obviously ones that can combine these are the games that are going to triumph overall, like Portal 2 (2). With this knowledge, when we look at the games Microsoft delivers, we know that all of these games are GOOD in one or more of these areas, but none of them excel in any –sorry Halo fans. Yes, Halo is a good shooter, but the franchise hasn’t done anything revolutionary for the genre since Halo 2, nor has it had a story that everyone can get behind because it punishes those unfamiliar with the expanded universe; Gears of War is in the same boat. Now look at the competition’s games at the top of the list: The Last of Us (3), and Super Super Mario Galaxy (1) They all do something that makes them stand out. Things that make people remember them for years after their release. 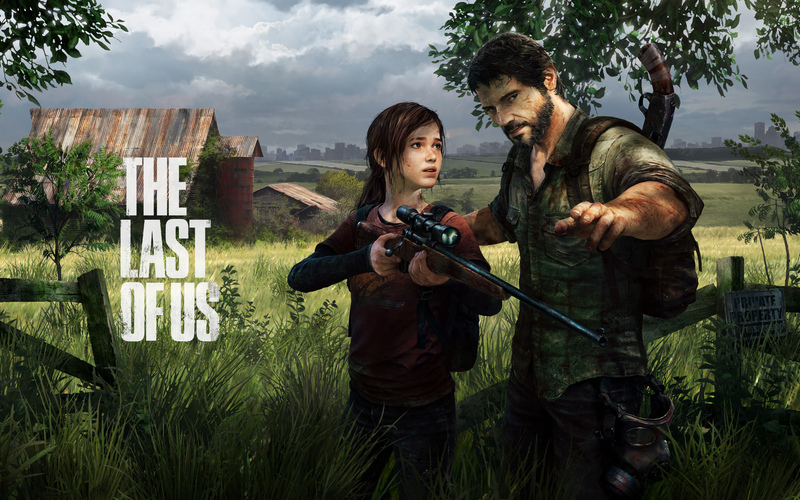 The Last of Us probably has the most memorable story and characters of the generation, and SMG reinvented platforming mechanics unlike anyone has seen before. So, what’s the point of all this “hating” on Microsoft? It’s so they can learn. There’s more out there than Sci-Fi shooters. A lot more. Microsoft just needs to tap into all the talented developers that are out there and reach outside of their comfort zone. So far I’m hopeful for the future; Sunset Overdrive and Quantum Break both look like they can deliver the freedom and story players are looking for. Microsoft might be off to a good start with Titanfall as well. The free-running mechanics in that game are some of the most satisfying I’ve ever experienced. Even more so than Mirror’s Edge. I hope we see more diverse games that excel at these things in the future. That future is bright so far, but only time will tell. And with E3 only 2 weeks away, that time might be sooner than we expect. What do you think about IGN’s list? Do you think Microsoft needs to offer more in their exclusives? Let us know in the comments!